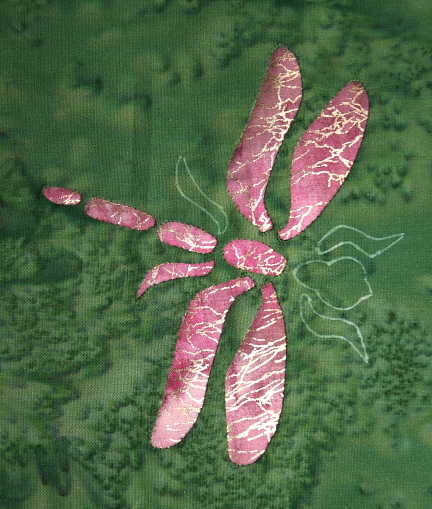 yes, it’s another reverse applique – and, yes, those are some rather tiny pieces. but – i’m doing it so i know you can!! Oh, please point out when you are being tough because I’m kinda dense and don’t like to miss out. Just how do you get the pattern/outline transferred to the base fabric. I really like the spaces in between the appliqued pieces.